Surprise your guests with a vintage design Eat, Drink, Be Married bottle stopper, From our Cassiani Vintage collection. All your friends and family have gathered to Eat, Drink and Celebrate your special day. 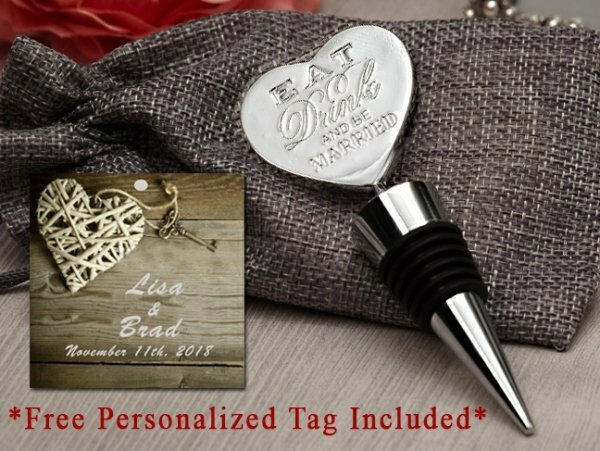 Our vintage design Eat, Drink and be Married stylish Silver Chrome bottle stopper favor will give that special added touch to your elegant affair. 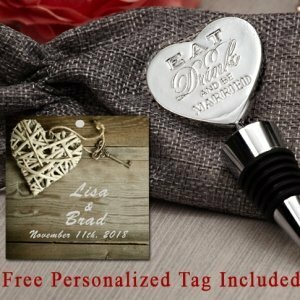 Each solid metal Heart topper is engraved with the words Eat, Drink, And Be Married . Measures approximately 4.25" x 1.5"
Each Favor comes with our Exclusive Personalized Favor Thank you Tags. Choose from one of our many Stylish Designs. NOTE: Tag Assembly required. 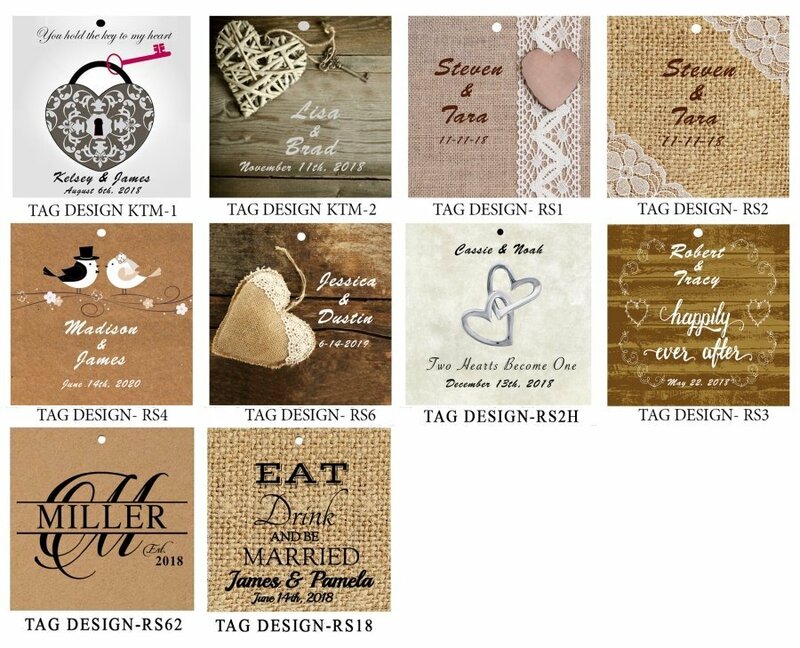 Personalized tags come on perforated sheet.